WILSON, Riley Joseph, a Representative from Louisiana; born near Goldonna, Winn Parish, La., November 12, 1871; attended the public schools and Beeson College, Arcadia, La. ; was graduated from Iuka (Miss.) Normal Institute in 1894; principal of Harrisonburg High School 1895-1897; studied law; was admitted to the bar in 1898 and commenced practice in Harrisonburg, La. ; member of the State constitutional convention in 1898; edited the Catahoula News 1898-1904; member of the State house of representatives 1900-1904; district attorney of the eighth judicial district from December 1, 1904, until his resignation on May 1, 1910, to accept a judicial appointment; judge of the eighth judicial district from May 1, 1910, until his resignation on December 1, 1914, having been elected to Congress; delegate to the Democratic National Convention in 1920; elected as a Democrat to the Sixty-fourth and to the ten succeeding Congresses (March 4, 1915-January 3, 1937); chairman, Committee on Elections No. 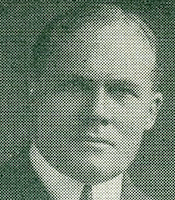 1 (Sixty-fifth Congress), Committee on Flood Control (Seventy-second through Seventy-fourth Congresses); unsuccessful candidate for renomination in 1936; unsuccessful candidate for Governor in 1928; retired from public and political activities; died in Ruston, La., February 23, 1946; interment in Greenwood Cemetery.